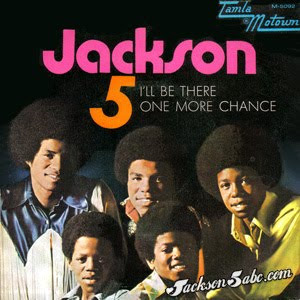 1970 - The Jackson Five's Third Album yielded their 4th #1 single I'll Be There. It was quite a change of pace from the singles that had been previously released. I'll Be There is a touching balled with Michael and Jermaine trading lead vocals. I'll Be There gave the Jackson Five their longest stay at #1, entering the #1 position the week of October 17, 1970 and remaining at the top of the chart for 5 weeks, replacing Neil Diamond's Cracklin' Rose. It also become their 4th #1 hit on the black singles chart. The Jackson Five became the 1st group ever to have their 1st four singles become #1 hits. I'll Be There became Motown's 3rd biggest single of all time behind Marvin Gaye's Heard It Through the Grapevine and Lionel Richie and Diana Ross' duet, Endless Love. Third album was released a few days after the first single. The Jackson 5 perform the first national tour at Detroit, Michigan. 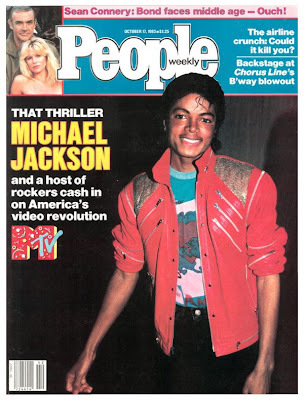 1983 - Volume: 20 Issue: 16 of People magazine[US] featured Michael on their cover story: THAT THRILLER MICHAEL JACKSON and a host of rockers cash in on America`s video revolution MTV. 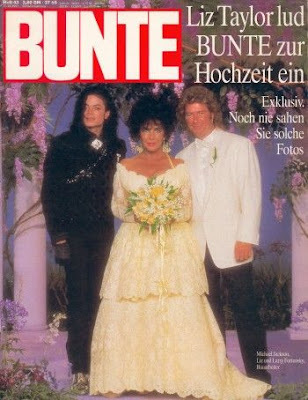 1991 - Bunte magazine[Germany] cover featured Michael & Elizabeth Taylor at her wedding. 1993 - Michael performs Dangerous concert at Morumbi Stadium in Sao Paulo, Brazil attending 100,000. 2001 - Michael Jackson's publicist released a lineup of artists to participate in Jackson's benefit single "What More Can I Give." The single was a benefit for the victims of the September 11, 2001 terrorist attacks in the U.S. The list included Mariah Carey, Ricky Martin, Tom Petty, Carlos Santana, Celine Dion, Shakira, Gloria Estefan, Usher, Julio Iglesias, Reba McEntire, Luther Vandross, Brian McKnight, Aaron Carter, Jon Secada, Billy Gilman, Boyz II Men's Shawn Stockman, Alejandro Sanz, Christian Castro, Olga Tañón, Juan Gabriel, Luis Miguel, Thalía, Ziggy Marley and 3LW. Debbie Rowe goes to the family court in Los Angeles to give up her parental rights on Prince & Paris because she says she has not seen them for a year and do not want to disturb them by making intrusions in their life once in a while. This entry was posted on 17 October 2010 at Sunday, October 17, 2010 and is filed under 1970, 1983, 1988, 1991, 1993, 2001 . You can follow any responses to this entry through the comments feed .